If you have been stung by Uritica dioica, you do not have to suffer long from the burning and itching. There are several ways in which you can elevate your discomfort. 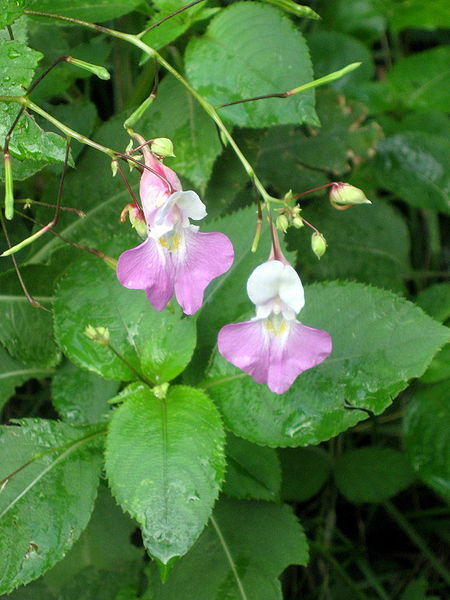 Jewelweed and dockweed are traditional, natural remedies that have been used for centuries. Utrica dioica and other stinging organisms such as Toxicodendron radicans (poison ivy), Toxicodendron diversilobum (poison oak) and Apis mellifera (western honey bee) stings. It is often said that wherever stinging nettles grow, jewelweed also grows nearby. This is mostly true, but jewelweed is slightly more intolerant of dry and sunny environments that Urtica dioica is able to grow in. If stung by stinging nettles one must simply pick some jewelweed and rub the juices on the irritated skin. The jewelweed works by counteracting the chemicals in the nettles and will remove or significantly lessen the symptoms of stinging nettles. Although many people (including myself) swear by the healing properties of this plant, there is no strong scientific evidence explaining why or if relief truly occurs. Another traditional remedy is the leaves from plants in the genus Rumex, commonly know as dock leaves. Specific species such as Rumex obtusifolius (broad-leaved dock) and Rumex crispus (curled dock) are particularly common in North America. To treat symptoms from stinging nettles, the leaves of a dock plant can be crushed and the juices rubbed on the irritated area. There are also no known properties of this plant that actually cure the symptoms of stinging nettles, but many people believe that dock is an effective treatment to the sting of Urtica dioica. There may be unknown chemical compounds in these plants or the placebo effect is simply working to relieve symptoms of stinging nettles. There are also many topical creams that can be purchased to alleviate the itch caused by stinging nettles. These products can be purchased in drug stores and often contain hydrocortisone. Now learn a little bit about me, Kailee Homolka, the creator of this website.